Random Hacks of Kindness is an innovative twist on what are traditionally known as random acts of kindness. It’s a global initiative made up of a community of more than 5,500 innovators in more than 30 countries developing open source technology to address some of the world’s most complex issues. Rochester Institute of Technology is participating and is a host site of the Random Hacks of Kindness Global Hack-a-thon from 9 p.m. Dec. 1 to 9 p.m. Dec. 2 in Student Innovation Hall in the University Services Center on the RIT campus. The event is free and anyone is welcome to participate. To register, go to https://rhoktheroc2012.eventbrite.com. Random Hacks of Kindness has hosted four global events to date with more than 4,000 participants. Governments, emergency responders and citizens have used the solutions developed by this community. RIT students and faculty will be among those working with federal, state and international organizations at this weekend’s global event. Organizations such as the Peace Corps have identified issues their volunteers are facing in the field, posting a list of problems on its website to be addressed during the hack-a-thon. Participants also will have the opportunity to help New York residents affected by Hurricane Sandy with a mobile website for Gov. Andrew Cuomo’s storm resources page that's currently in the prototype stage. Sean Herron, a member of NASA’s Open Government team, will be among those attending the event. He works to facilitate open source and open data projects throughout the agency and promotes the use of technology solutions to solve common problems. Herron previously worked in the Space Operations Office at NASA headquarters, where he contributed to public outreach projects involving the space shuttle and International Space Station. He is an avid Web developer and advocate for engaging the public in NASA’s mission of exploration and discovery. Also in attendance will be Rob Bishop, a developer with the Raspberry Pi Foundation, a charitable organization founded with the goal of promoting the study of computer science and other related topics. 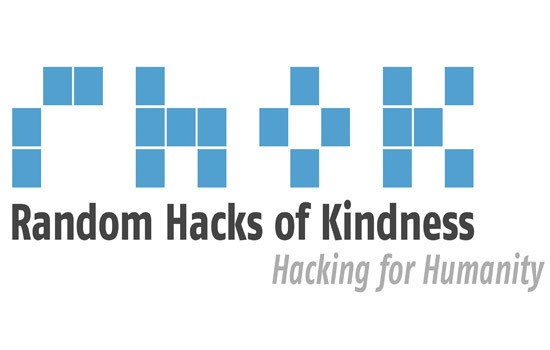 Global sponsors of Random Hacks of Kindness include The World Bank, NASA, HP, Google, Microsoft and others. RIT’s event is sponsored by The Office of the RIT Associate Provost of International Education and Global Programs, the Simone Center for Student Innovation and Entrepreneurship and the RIT Lab for Technological Literacy. The Lab for Technological Literacy is sponsored by StormFrog Inc. and Red Hat Inc.